Received an email this morning from the Quebec Railway Historical Society. I had written to them asking for information about what a “Station Agent” was, and if they had any employment records for the Eastman train station where Robert Clifford worked prior to his death. He admonished me lightly for not writing in French, reminding me that only 40% of people in Quebec are proficient in English. So I wrote him back in French. :). About Eastman. A Station Agent is an employee (a kind of laborer) who worked to handle freight stock, handle the track switches, sell tickets, and perhaps might have done accounting or operated the telegraph. The former name of Eastman station is Warne’s Crossing. This name was assigned by the Waterloo and Magog Railway, the first line to pass through the area, in 1877. This company ceased to exist in 1888 when “the CP short line” (Atlantic North West Ry.) was built, including the construction of a big trestle over the village of Eastman. The station reopened in 1892 when the Orford Mountain Railway was in operation between Eastman and Kingsbury. (www.railfare.net). This book will have more information about Waterloo & Magog, Atlantic North West, and Orford Mountain Ry. It was written by Derek Booth. 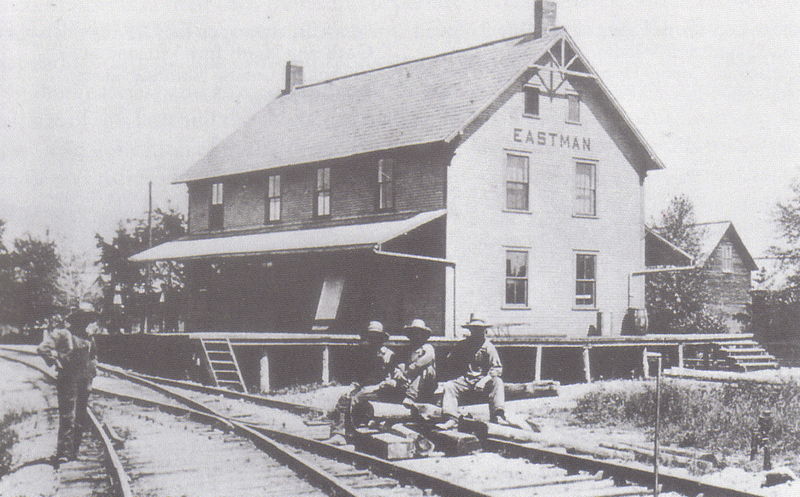 I am also sending you a picture of Eastman Station (c1905) from the Brome County Historical Society. Robert Erwin Clifford (called by my grandmother “Robert Clifford Jr.”, but I’m not sure “Jr.” is really warranted because I think his middle name was different than his father’s) was born 11 Mar 1858 in Alburg, Grand Isle, Vermont. He was in the 1870 census for Alberg, then sort of fell off the face of the planet. My grandmother had noted in her records “Robert left home and was never heard from again”. 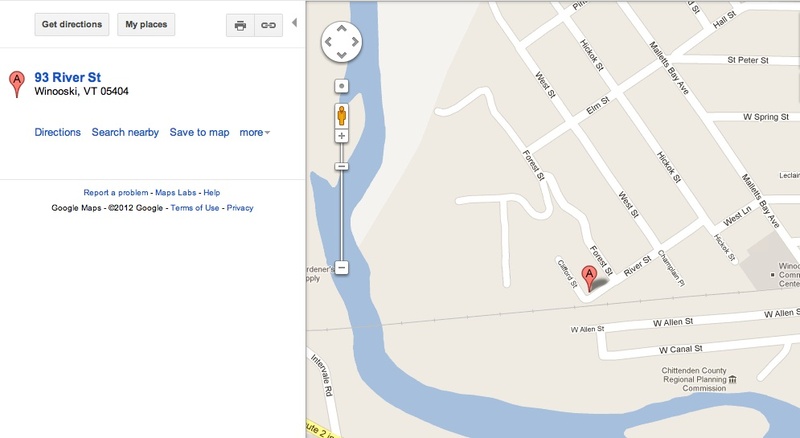 So I set out to find him. So this explained why he had “vanished”. He had moved out of the country to Quebec, Canada. It also showed that at least two members of his family knew of his death, even if the news didn’t make it to my family. One source of confusion could have been that his father, Robert Clifford, died 14 March 1891, and the son (also Robert Clifford) died 23 February 1891. So less than three weeks apart. Perhaps the news of the “Death of Robert Clifford” got conflated? One of my Grand-Uncles Robert Clifford was working as a station agent in Eastman, Québec when he died at the age of 33 on February 23,1891. I’d love to find an obituary or other source to figure out why he died so young. He had run away from his home in Vermont, USA, and hadn’t told anyone where he was for years and years. I have no idea if he was married, had kids, etc. Are any of the newspapers you have online likely to have such an obituary? Thank you. Research was conducted in the genealogy database Ancestry Library Edition unsuccessfully. We looked into Baptism, Marriage, Burial directories of the region of Eastman-Orford without success. We also searched in the Sherbrooke Gazette [microforme] MIC A 95 from 15 to 30 February 1891, without success. Paroisse Saint-Édouard de Eastman, comté de Brome, 1894-1993 : répertoire des baptêmes, mariages, sépultures et annotations marginales / ce répertoire a été compilé, édité… par la Société de généalogie des Cantons de l’Est inc.
We thank you for the interest you have shown in Bibliothèque et Archives nationales du Québec. Do not hesitate to contact us as needed. Perhaps the South Stukely Cemetery might have an obituary saved in their records, or additional information about how he died. Sometimes cemeteries save that kind of thing. There was a newspaper called the Sherbrooke Gazette. It has been indexed by Pamela Waugh. We would suggest you google her name or the name of the newspaper to acquire access to the resource. I did use several years of French papers but found that they don’t carry an ‘English’ obituary unless they had a connection to the French Canadians, such as a politician or a doctor. There were/are two solitudes.